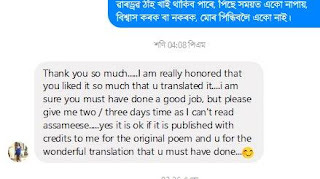 পিছে সেইটো পিন্ধি গ’লে জানো মানুহে নেহাঁহিব? হলেও তাৰ লগত মেটচিং কৰা ‘টপ’ কত পাম ভাই? কিন্তু পুৰণা জীনচবোৰ সোমাব জানো মোৰ গাত? মোৰ সঁচাকে ভয় লাগিছে এতিয়া, কি যে হব উপায়? Since I didn't go shopping, I am in a position tight. Gosh! 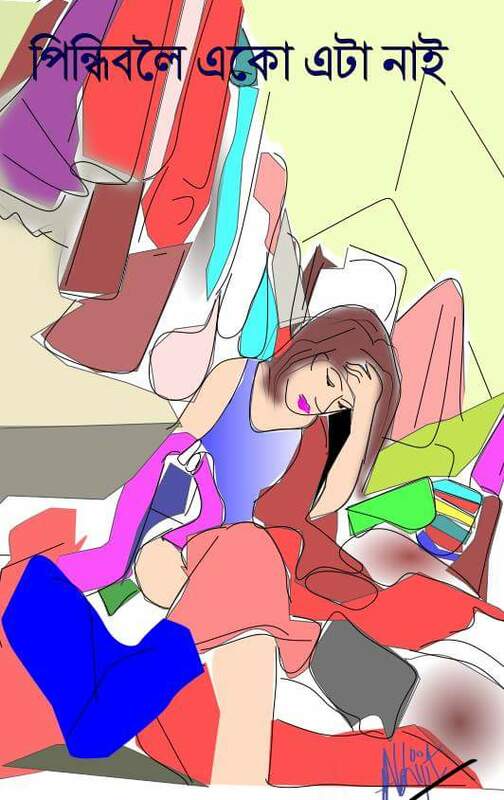 I have nothing to wear! Oh, it's slightly loose and needs some tucks here and there. Yes, last month I had bought a daring red evening gown. Oh no, for such attention I do not care. How about the new black dress from the Christmas sale? It sure will look good against my complexion pale. But its sleeveless and I can't leave my unwaxed arms bare. My daughter points at the ethnic skirt still in the shopping bag. It has to be beautiful with that exorbitant price tag. But I have no top with which to pair. Gosh!I have nothing to wear! I better dress casually in a pair of jeans and t shirt. But which jeans will I fit into, with my increasing girth? Well, I am not in my prime, let's be honest and fair. My latest FabIndia kurta is out, for its not pressed. And if I wear that new saree, I will look over dressed. Now, I am really getting cold feet and a scare. Some dresses in the wardrobe are far too tight. Saved for the day when my figure is again right. Some are kept for sentimental reasons I can't share. This is why, while getting ready,she makes you wait. She will have nothing to wear.